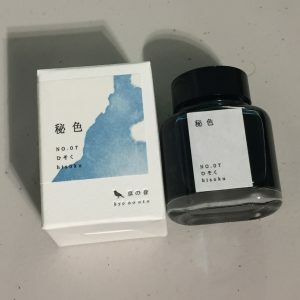 Kyo No Oto ink is made in Kyoto, Japan. 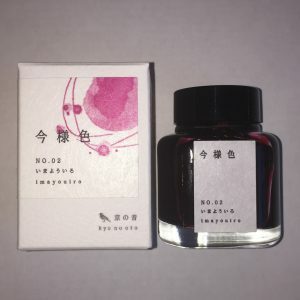 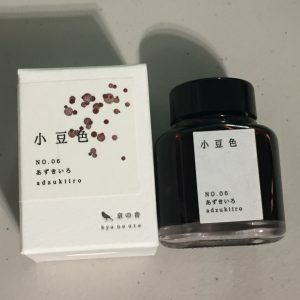 The inks are inspired and named by colors seen in Japan. 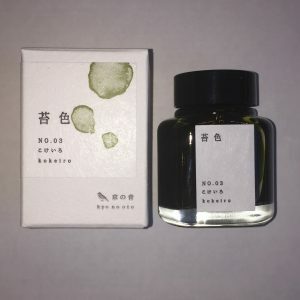 The inks are crafted according traditional Japanese dyeing techniques. 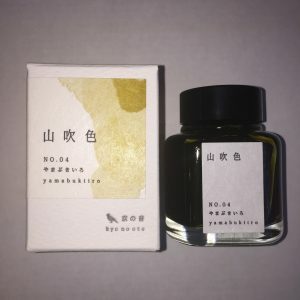 Nurebairo (Black) – the name is to represent a women’s glossy black hair.